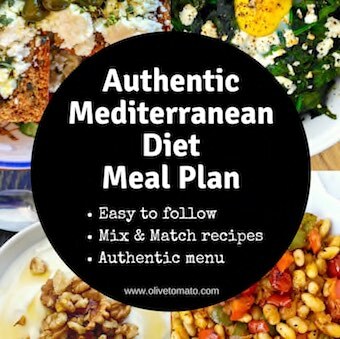 I have always been a proponent of a mostly vegetarian diet, following the traditional Greek-Mediterranean diet which is composed of vegetable based dishes, legumes, cheese and olive oil. Meat is more of a side dish and particularly red meat was consumed sparingly. We now know from studies, that increased red meat consumption as well as processed meat (bacon, luncheon meats etc.) are associated with an increase in mortality, in other words an increased risk of dying. This brings me to the issue of some of the austerity measures starting today in Greece. We will see increased sales tax for beef and veal as well as processed meats. Setting economics and politics aside, the reality is that Greeks have become a society that has seen vast increases of consumption of red meat as well as processed meats compared to 40-50 years ago. In addition, we import most of that red meat. Gone are the days where meat was consumed once or twice a week, nowadays meat has to be on the table almost everyday in one form or another. Parents feel that kids must have smoked processed luncheon meats in all their sandwiches. 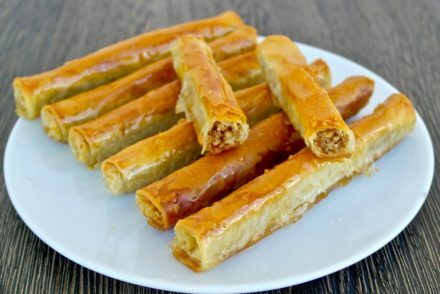 So, in a way, I do not feel so bad on the increase of sales tax on those particular items here in Greece, if it means that we will be eating less of them. Having said that I want to share this delicious and good-for-you, meat free, traditional Greek recipe called fakorizo which translates to “lentil-rice”. Traditionally there is only onion, rice, lentils and olive oil, but I also added some carrots and fresh tomato. You could add red pepper and other vegetables as well. 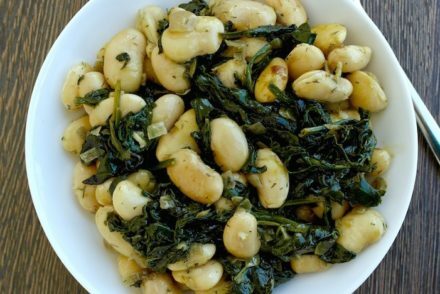 This recipe is a traditional Greek fasting recipe (nistisimo) as it contains no animal products. 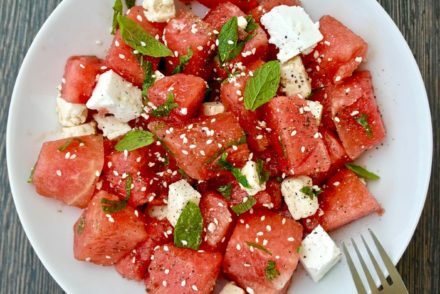 However, you are free to eat this with cheese (it is perfect with feta). 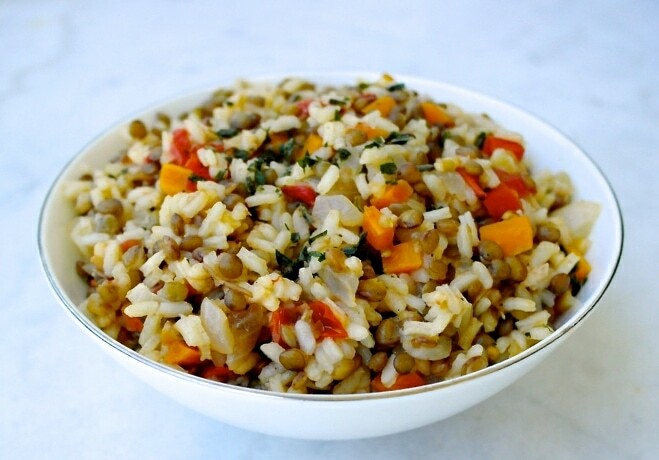 Lentils are a favorite in Greek cuisine, and in fact, most kids in Greece name lentil stew as their favorite dish. In this dish it is combined with rice, here I used short grain rice which is soft and makes a risotto-like texture. Lentils as all legumes, are a great source of protein and fiber as well as antioxidants. They are filling and will provide a long lasting source of energy as they keep our blood sugar steady. They are also gluten free, important for those dealing with celiac disease. I like cooking with lentils as they take so little time to cook, and while they are cooking, I’m preparing all the other ingredients. This dish can be adjusted by adding other vegetables or even spices. I usually sprinkle some parsley at the end. Rinse the dry lentils, put in a pot with water and bring to a boil. Drain the lentils, put them back in the pot with about 1 ½ cups cold fresh water, along with the bay leaf and rosemary. Simmer for about 15-20 minutes until soft (not mushy). Drain the lentils and set aside. In a large deep pan (or pot) heat the olive oil and sauté the onions until translucent. Add the carrot and sauté 2-3 minutes more and then add the garlic and sauté for about 30 seconds. Add the rice and sauté for another 2 minutes until rice is covered in the olive oil. Then add the lentils, salt and pepper and blend well. Add the tomato and about 2 cups water and simmer for about 15 minutes, covered until rice is cooked and water is absorbed. Add more hot water as needed. Remove from heat and fluff with a fork. Sprinkle some chopped parsley. You may serve with feta cheese. With just the onions, this is very similar to Levantine Mujaddara (also a Lenten dish for Christian Arabs, but enjoyed by all communities year-round). I really like the idea of more vegetables. Thanks Nancy! You will probably need to cook a bit longer. So I would add the lentils probably about 8-10 minutes later rather than together (as is shown in the initial recipe) as you do not want to have mushy lentils. Hi Elena, another great and tasty recipe, thank you! I made it for lunch today. Far too much for the two of us. Do you think I could freeze it. Or fill an aubergine (cheese on top) or…or….? Hi Hanneke, Yes it is meant for 4 large servings. I believe it would freeze well. Or yes stuffing vegetables with it sounds yummy, and reheating with cheese. Or we often eat rice with yogurt. Thanks Elena, just to let you what happened with the leftovers. First I fried aubergines (in halves and cut in cross wise) a bit, scooped them, chopped the flesh and used it in a tomato sauce. Stuffed the aubergines with the leftover fakorizo, topped them with cheese, sprinkled with a bit of olive oil and then tomato sauce around the aubergines. About half an hour in the oven and….. another lovely meal! Delicious recipe! I’ve made it twice now and the only thing I changed is the addition of a sweet green pepper. Thank you for this! Great- will try the green pepper the next time I make it! I made this with chick peas today — no lentils in the pantry – and added celery, mushrooms and green capsicum for extra vegetables . I also am like you and like extra red in my food so I added two tablespoons of tomato sauce (or paste as we call it in Australia). It turned out really lovely. Thank you. Thanks for sharing Mary, nice combination of flavors!